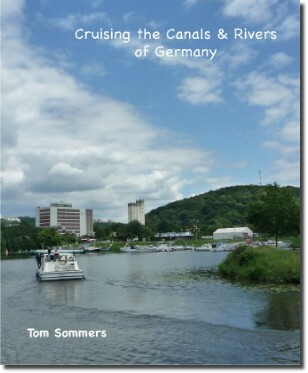 A planning guide to all canals and navigable rivers in Germany. Maps and dimensional tables show all connecting waterways throughout the country. Many of the waterways in Germany are rivers; the guide includes descriptions of all navigable rivers. Special emphasis on the popular cruising areas of northeastern Germany, the Mecklenburg-Brandenburg-Berlin districts and through Berlin. A chapter describes the Main river, Main-Donau Kanal and the Donau (Danube) river in southeastern Germany, Maps, covering the route from the Rhein river at Mainz to the Austrian border at Passau. This cruising guide provides information for those traveling by canal cruiser, either rented or privately owned, on a trip through the Netherlands provinces of Noord Holland, Zuid Holland and Utrecht. It not only shows where you can go but also why you might want to go there. Eight suggested touring routes are described in detail on maps and cruising logs, along with “nuts and bolts” pages about navigational charts and signs, operation of bridges and locks, as well as tables listing the length, from/to points and restrictive dimensions of each of the 67 individual waterways of the region. Over 175 color photos depict the scenes along the waterways. 2016, Softcover, 107 pages, 8 inches wide X 10 inches high, perfect-bound, with full color maps and photos on bright-white, high-quality, water resistant paper. 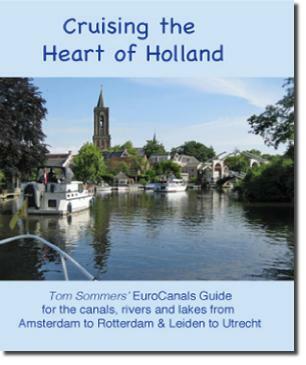 This planning guide includes an overall map of the country showing the network of waterways through all 12 provinces and the portals connecting into Germany and Belgium, with special emphasis on the popular cruising areas of Freisland, Zuid Holland, Noord Holland and Utrecht. 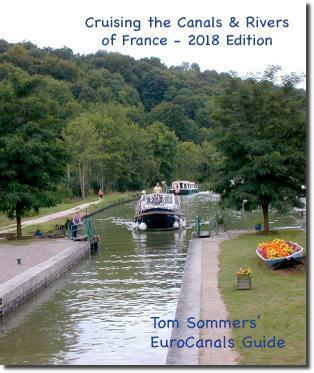 A guide to all canals and navigable rivers in France. Descriptions, maps and data tables with waterway dimensions for 90 waterways throughout France; 17 regional maps and 59 detailed maps of individual waterways. The detailed maps show locations of towns, locks, marinas, mooring places and rental-boat bases. Suggestions for through-routes and loop-cruises. Maps showing the location of vineyards along the waterways. 2015, Softcover, 96 pages, 8 inches wide X 10 inches high, perfect-bound, with full color maps and photos on bright-white, high-quality, water resistant paper. 2018 edition has been updated to show the latest locations of ports de plaisance, haltes and rental boat bases. Softcover, 144 pages, 8 inches wide X 10 inches high, perfect-bound, with full color maps and photos on bright-white, high-quality, water resistant paper. 2018 Edition includes 55% more pages. Softcover, 192 pages, 8 inches wide X 10 inches high, perfect-bound, with full color maps and photos on bright-white, high-quality, water resistant paper. 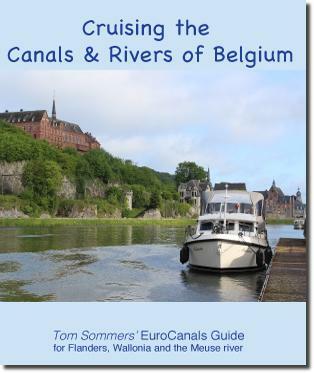 A guide for planning travels along the inland waterways of Belgium at the helm of a private canal cruiser, barge or rental boat. The two regions of Belgium, the flatland canals of Flanders along the English Channel and the hills & rivers of Wallonie in the south, are connected in a dense network of recently improved waterways. 1,578 kilometers of waterways are currently active; all 52 waterways are connected in a single network that can be accessed by any cruising vessel. Softcover, 157 pages, 8 inches wide X 10 inches high, perfect-bound, with full color maps and photos on bright-white, high-quality, water resistant paper. 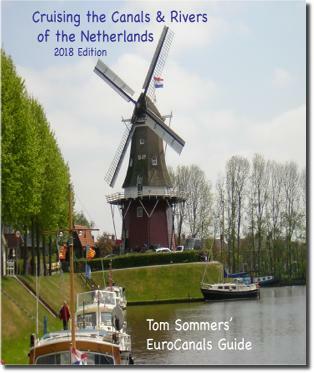 Tom and Carol Sommers completed a season-long trip on the 11-meter Dutch cruiser Orion through all twelve provinces of the Netherlands to research this cruising guide. Included are 33 maps of cities and regions, photos, touring suggestions and how-to-do-it details. It is essential reading for those making a journey through the entire country, or just one or two provinces.